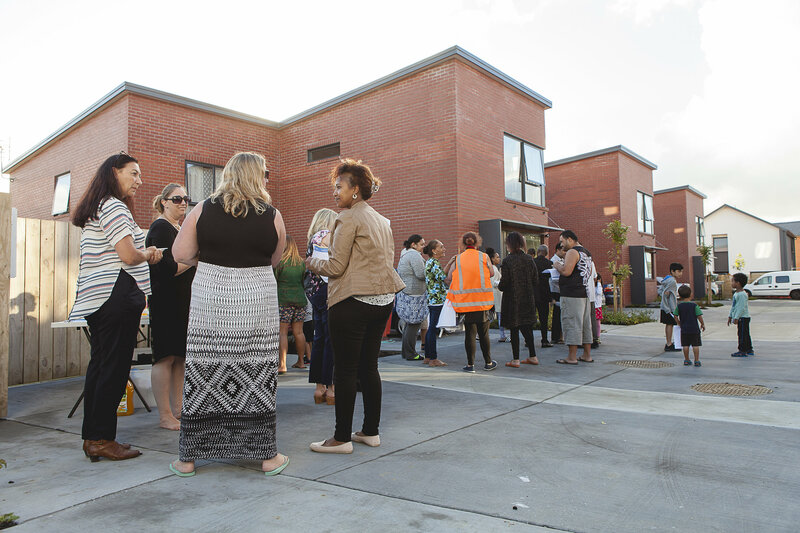 A Housing New Zealand redevelopment in Mount Albert last night won a New Zealand Institute of Architects award for the Auckland region in the Housing Multi Unit category. 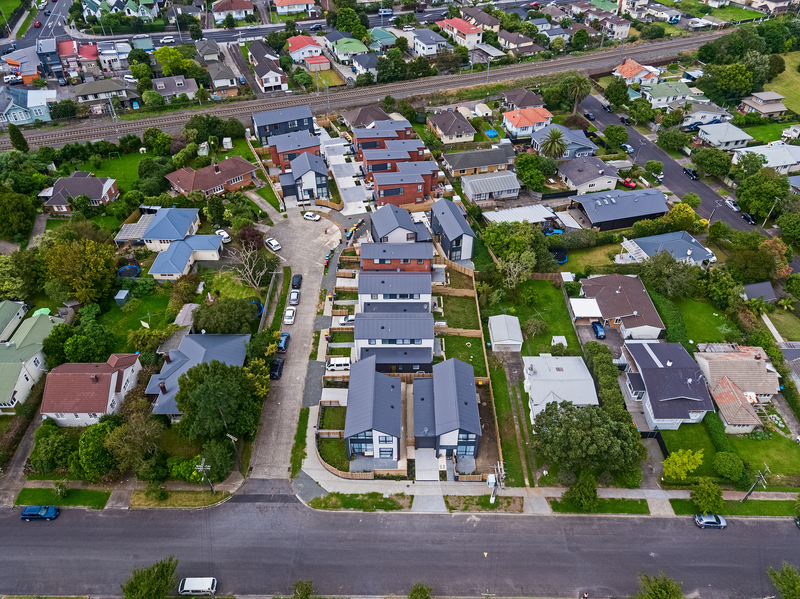 The Jennings Street and Jersey Avenue project, which replaced eight 1940s houses with 18 modern state homes, incorporates Housing New Zealand’s best practice approach to redevelopment in established suburbs with innovative site planning and urban design values. The country’s largest residential builder warmly congratulates architect Monk Monkenzie on its win. Replacing eight old houses with 18 modern state homes means the location can comfortably accommodate 90 residents, triple the number the site once housed, both now and for decades to come. Care needed to be taken so the increased density fit seamlessly into the local area. An aerial shot of the 18 new homes. A event to welcome Housing New Zealand tenants to their new homes in Jennings Jersey (22 February 2018). Go outcomes for a low density development from Housing New Zealand. I am looking forward to some of their medium density stuff like walk-up apartments further down the track. If the Superfund Can Invest in the Northern Airport Line Can It Invest in the Southern Airport Line too?